Comfort is everything when it comes to CPAP therapy. You need to wear your CPAP mask for the entire night and if therapy is not comfortable you cannot enjoy a restful night of sleep. There are many mask liners and pillows available that enhance your mask comfort, but there are also the CPAP comfort covers which help you enjoy truly compliant therapy. The CPAP comfort cover is made of an ultra soft and durable material, which allows you to wash it and re-use it several times. With a simple yet highly effective design, the comfort cover for CPAP can be fitted to both a nasal and a full face mask. Therapy compliance is something most patients are struggling with. En more so, many patients will give up on their therapy simply because the mask is not comfortable enough. 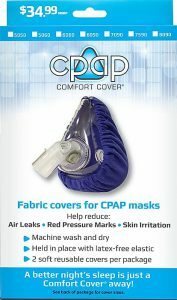 The mask can create irritations, redness, and if air leaks are present then CPAP therapy is not effective. This is where CPAP comfort cover steps into the picture. Reducing red pressure marks and irritations. The rigid mask parts will not come into contact with our skin anymore. Instead, you will feel the soft and cozy material against your skin, and thus you will become quickly compliant with required therapy. Depending on the brand/style of mask that you have you should choose the right comfort cover. Currently, there are available comfort covers compatible with the following Full Face Masks: Quattro Air for Her, Quattro Air Full face mask, Quattro FX for Her full face mask, Quattro FX, Simplus Full face mask, AirFit/ AirTouch F20, AirFit F10 for Her, AirFit F10, Amara Gel/Silicone mask, Comfort Gel Blue, FlexiFit HC431, FlexiFit HC432, Mirage Quattro. Comfort cover is made of a combination of cotton and polyester to offer maximum softness, durability and absorbency. Each cover has been pre-washed in order to remove sizing issues. You can wash the cover in the machine with cold water. You should also be careful not to use any softeners or detergents that contain perfumes or dyes. The elastic band is latex free, and it is securely sewn into the cloth casing. It is important to mention that the elastic is sewn into the material, and your skin will not come in contact with the elastic band. you own. There are comfort covers compatible with the following nasal masks: AirFit N20 for Her, AirFit N10, AirFit N20, Comfort Gel Blue Nasal mask, Eson/Eson 2 nasal masks, Lady Zest Q, Mirage Activa LT, Mirage Soft Gel nasal mask, Pico & Pico Lite nasal mask, TrueBlue nasal mask, WISP, and also Zest Q nasal mask. Your skin peels off from wearing a CPAP mask? No more problems. The symptom can be easily stopped by wearing the soft comfort cover over the mask during required therapy. No more irritations, rashes or skin peels. Suitable for children on CPAP therapy as well. Normally you should breathe through your nose, because the mucous membranes in the nose are the ones helping to prevent the dryness induced by air flow. However when you fall asleep your jaw will relax and typically tend to drop. If your jaw drops too much, your lips will become apart and then you become a mouth breather. You may wake up in the middle of the night with a dry mouth feeling. Your physician might also increase the pressure on your machine in order to control better your AHI. However, an increased pressure will further dry your mouth and your throat. If you want to get rid of the dry mouth and dry throat condition, you should add one important piece to your CPAP equipment…the chin strap. 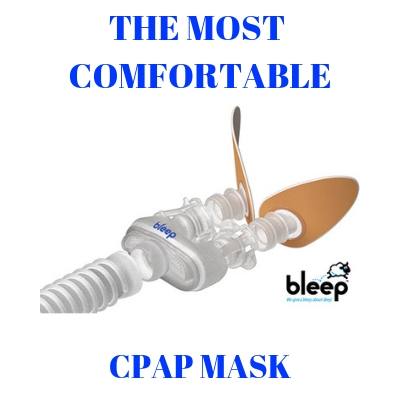 By using a chin strap and a comfort cover over your mask you can now enjoy comfortable and effective CPAP therapy. Comfort cover is made of an ultra-comfortable and durable material. Every time you wash your cover it will revert to its initial shape nicely surrounding the mask and sitting tight and cozy around your mouth and nose. The cover is made of knit fabric that is capable of withstanding fraying and pilling. However, after some time and many washes it can develop pilling and then your cover will be not as comfortable. In order to keep your cover nice and soft, you should use a battery powered pill remover. Shave carefully off the pilling and enjoy a brand new comfort cover each time, even after many washes. Make sure to help the fabric tighten up if it has become too large. You can wash the cover in hot water and then dry it in the clothes dryer. You will notice that the fabric gets back to its tight shape. From time to time you can also turn the cover inside out and use it that way to get a new and soft fabric surface. 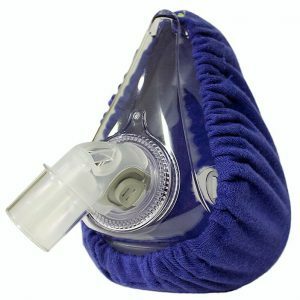 CPAP mask covers represent the ideal solution for first time cpap users or patients who cannot become complaint with required therapy. Can comfort cover prevent air leaks? The cover is made of a soft and comfortable material. This will create a certain “barrier” between the mask and your skin. Certainly, air leaks might be reduced, but you will still have to tighten correctly the straps on your mask for perfect results. What happens if my CPAP machine indicates air leaks while wearing the cover? This should not be of great concern. Whenever there is a cloth type interface present, some machines tend to show incorrect data (such as air leaks). If you feel that you sleep much better while wearing the cover and your AHI looks really under control, there is no reason to worry about your machine signaling leaks. How to wear the cover with a Comfort Gel Blue or Mirage Quattro mask? You might have noticed with these masks there is not enough room available at the top of the mask in order to get a grasp with the cover. These types of masks have tabs on each side which basically hold the seal in place. Make sure to loop the elastic part of the cover over each side tab. Trim the mouth/nose hole to fit your face, and then the fabric will tighten enough so as to fit well and stay in place. I am allergic to Latex. What now? The good news is that comfort cover is made using latex-free elastic. The elastic is sewn well into the casing of the material, so it will not come in contact with your skin. Patients allergic to latex parts of a mask have eliminated this problem by actually wearing the comfort cover with their CPAP. Can I wear comfort cover with any type of mask? Comfort cover is compatible with a wide range of highly popular full face and nasal masks. However, not all mask types/brands are covered, so make sure to check out the fitting/sizing chart to see if comfort cover is compatible with your particular style of mask. My mask creates irritations ad red pressure marks. Can comfort cover help? Rashes, sores and skin irritations are not uncommon problems for patients who need to use a CPAP mask for an extended time. Even if you do not have allergic reactions, red pressure marks can still appear because you need to tighten your mask straps and he mask itself is exerting pressure on your face. The comfort covers will provide a soft and comfortable barrier between the mask and your skin. Even if you feel the mask still applies pressure, the red marks and irritations will be less common while you are wearing a comfort cover. Will comfort cover make therapy quieter? In fact yes. While you wear a comfort cover, there will be fewer air leaks which means your therapy becomes much quieter. Both you and your bed partner can now enjoy a quieter and more restful night of sleep. Does a comfort cover work well if I have facial hair? According to genuine customer reviews, it is a much better feeling you get from the soft cover pressing against your face then feeling rigid silicone. Even patients with a beard have noticed a much gentler and comfortable feeling by wearing the comfort cover. What colors are available for comfort cover? As for now, comfort cover is only available in one color- which is blue.